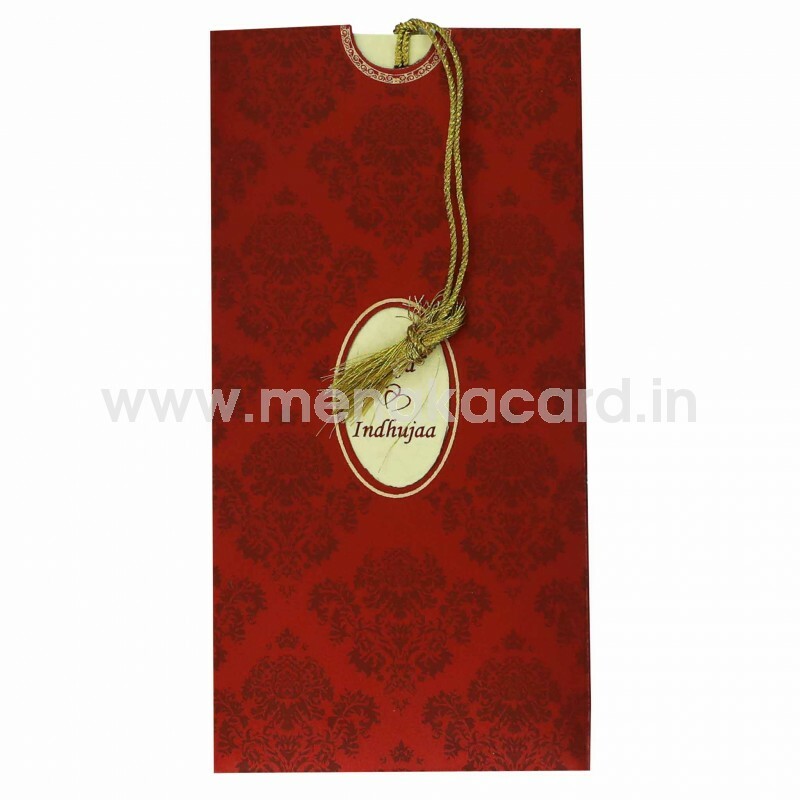 This decadent maroon pouch card is made from a metallic board and has two inserts in it held together at the top by a beautiful golden thread, The main pouch of the card has an exquisite deep maroon damask lancer print on it, with a small oval die-cut window at the centre that reveals the names of the couple on the insert below. 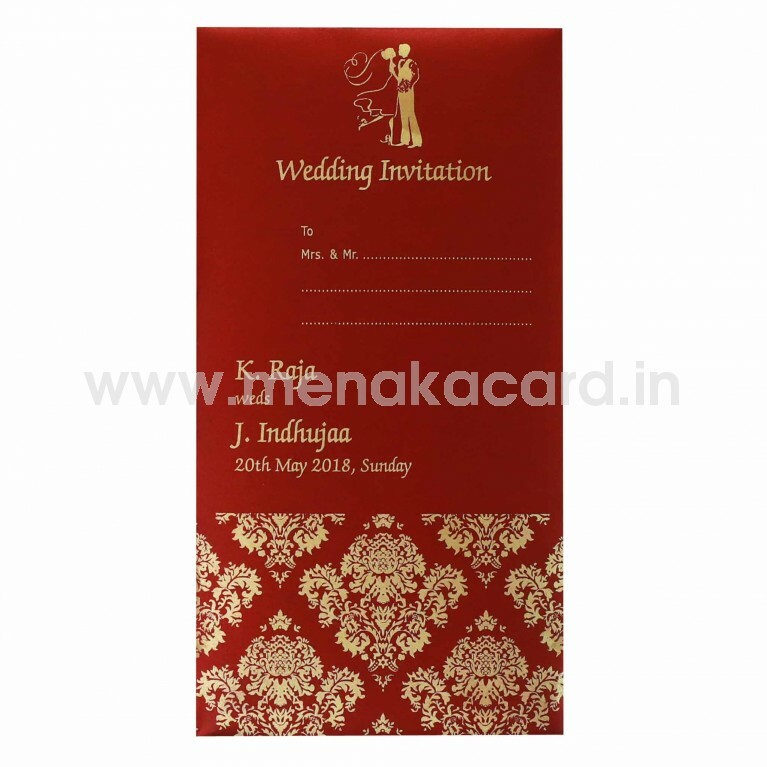 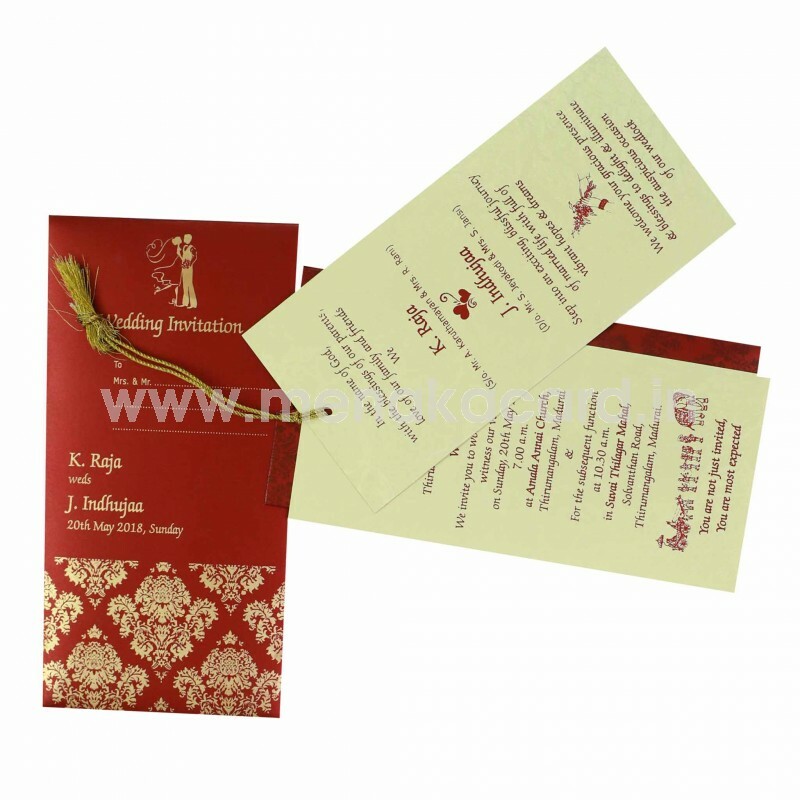 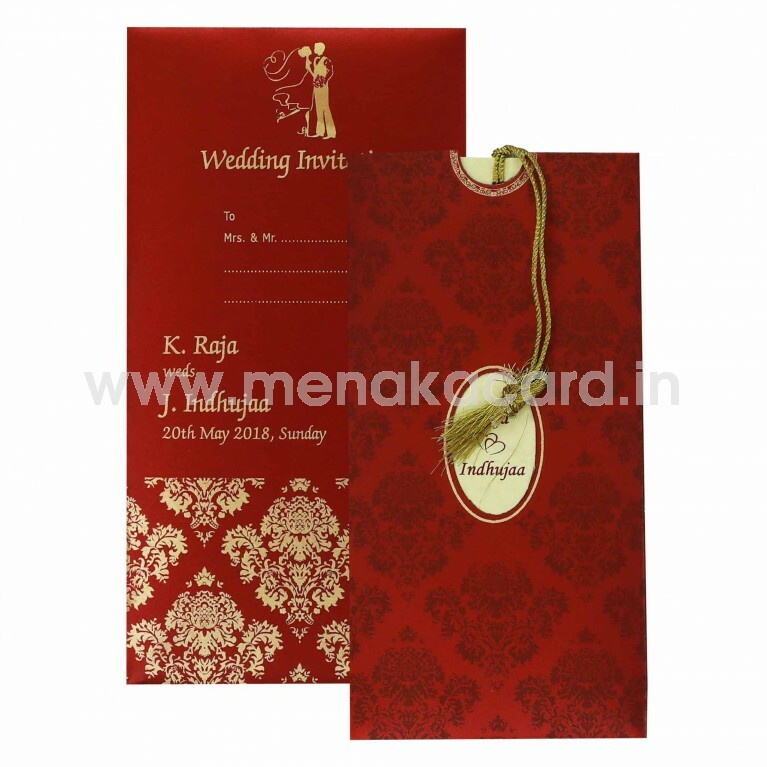 The Cream inserts are also made from a shimmer board and are printed with a rich maroon ink. Generally used for personal invitations, this can be used for ceremonies like grahapravesham, saree functions, receptions and engagements.